This is a stock I have been trying to write up since Friday! It is graduation party time around this town. While I don't have any high schoolers graduating this year, we do have a lot of friends with sons and daughters that do. In fact, it isn't very good for my diet either, but that is a whole different story :). Anyhow, it is now early Sunday morning and it is very quiet around my house so I could get on the computer undisturbed and maybe finish this one up! I always get a lot of questions about how I go about picking stocks. This method that I use is something I am quite willing to share with all of my readers. There isn't anything magical about this technique. But it does seem to work to identify lots of great companies. First of all, I start out with the top % gainers list. In this case, West (WST) had a nice day, and made the list of top % gainers on the NYSE. WST closed at $50.77, up $2.05 or 4.21% on June 8, 2007. I like to use the lists of top % gainers to start out my search. I have linked to the current Money.CNN.com web page where all of these top % gainers from the NYSE are listed. You will note at the top of the page that there are links to the top % gainers on the NASDAQ and AMEX as well. There are many different ways to identify great stocks for my investment. This is my own peculiar strategy. It isn't necessarily the best way. It isn't necessarily a way that will work long-term. Currently, I have found it successful, so I continue to use this strategy. As I have written many times on this blog, I have been inspired by William O'Neil, the publisher of the Investor's Business Daily, who wrote about he CAN SLIM method of investing. O'Neil suggest scanning the list of New Highs for candidates for inclusion. Instead of new highs, I have chosen to look at the list of stock gainers. This difference may appear to be nuanced. However, from my perspective, I am more interested in buying stocks today with strong price momentum, rather than the fact that they are now trading in new high territory. It isn't that what O'Neil is doing is wrong or even less helpful than what I am doing. It is just that it is different. Let me continue this discussion while explaining in a little more than usual detail my methodology in selection of stocks. After scanning the list of top % gainers for stocks over $10 (I have occasionally written up and purchased stocks under $10, but due to my 8% loss limit---another technique also shared by the CAN SLIM technique---I have often found myself "shaken-out" of investments that otherwise are of good quality), I am interested in finding out the latest quarter results. Again, this latest quarterly result was inspired by CAN SLIM (I am happy to credit others for those ideas that I have also found helpful). This is the "C" in CANSLIM for "current quarterly results". "...manufactures components and systems for injectable drug delivery and plastic packaging, and delivery system components. 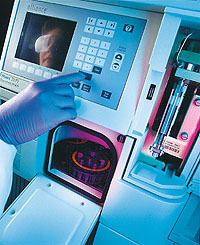 It operates in two segments, Pharmaceutical Systems and Tech Group." How did this company do in the latest quarter? On April 26, 2007, West Pharmaceutical reported 1st quarter 2007 results. The company's consolidated sales grew 15.6% to $257.6 million from $222.8 million in the first quarter of 2006. Earnings were even stronger, with $.77share reported, up $.34, or greater than 75% from the $.43/share reported last year. The company maintained full year sales guidance of approximately $1 billion, but went ahead and raised guidance on earnings to between $2.27 to $2.37/share, from prior guidance of $2.20 to $2.35/share. Besides raising guidance, as WST did, the other thing an earnings report can do to attract investors is to exceed guidance. In fact, as noted in another news report, the two analysts reporting to Thompson Financial had expected profit of $.65/share. The company beat expectations handily coming in at $.77/share. As I go through the headlines on West, I can see that I haven't discovered this stock before other "wiser investors" :). I do not mind this. You can see that The Street.com likes West. If you don't know the connection, Jim Cramer was a co-founder of TheStreet.com giving this stock a big B-BOOYAH. :). The bottom line of any stock selection, is that while it is truly good to be early with any idea, it is helpful knowing that an idea has other 'sponsors' behind it. And certainly finding a stock that Jim Cramer likes isn't a bad thing. Again, this is one place where my strategy coincides with CANSLIM. The "A" in CANSLIM is the annual earnings. I have taken this a bit further, using the Morningstar.com website for a bit more information. In particular, I would like to take a closer look at the Morningstar.com "5-Yr Restated" financals page on West Pharmaceutical Services (WST). Here we can see that revenue has steadily been increasing from $412.8 million in 2002 to $913.3 million in 2006 and $948.1 million in the trailing twelve months (TTM). Earnings have been a bit erratic, although profitable, with $.65/share in 2002, increasing to $1.11 in 2003, but dipping to $.65/share in 2004. However, in 2005, the company rebounded with $1.42/share in earnings, increased it to $2.00/share in 2006 and $2.22/share in the TTM. I don't know what happened in 2004, but the company quickly rebounded as if that dip never occurred. While dividends are not critical to me. I am attracted by companies that can do everything. Why not? If you can find a great company with superb revenue and earnings growth AND it pays a dividend, well, to avoid being too chauvinistic, this is like meeting a wonderful girl (or guy) with a great personality AND they are drop-dead gorgeous as well. So if they do pay a dividend and they can also raise that dividend regularly, well I am practically smitten if not in love :). West paid $.39/share in dividends in 2002, and has raised that dividend every year with $.49/share paid in 2006 and $.50/share paid in the trailing twelve months (TTM). Is that beautiful or what? I like to see a company that increases its shares very minimally if at all, and West, which had 29 million shares in 2002, increased to 32 million in 2006 and 33 million in the TTM. This 14% increase in outstanding shares, occurred during a time in which revenue increased me than 100%, and earnings were up more than 200%. I can live with these types of increases! What about free cash flow? I have been around plenty long :) and remember the tech bubble in the 90's when the burn rate was discussed. These were companies that had recent IPO's. They had loads of cash but weren't making any money. In fact, they were consuming their funds and this was the 'burn rate' that was calculated. People were calculating how long they had to start making money before they ran out! I have chosen to find companies to discuss that are not only profitable but are generating money, thus the positive and hopefully growing free cash flow! In West's case, they reported $24 million in free cash flow in 2004, $32 million in 2005, $49 million in 2006 and $40 million in the TTM. While not perfectly linear, the trend is positive and the results are positive. Looking at the balance sheet on Morningstar.com, I like to see a few basic things (I am not an accounting kind of person and approach this with an amateur perspective as I do the rest of the information). Simply put, I want to see more cash and other current assets than current liabilities. This ratio of current assets to current liabilities is called the current ratio. I have found that a minimum of 1.25 is acceptable, but more knowledgeable sources suggest that a current ratio closer to 2.0 or higher is what we should be looking for. Think of your current assets as the cash and other things you own that could be turned into cash within the next twelve months (like CD's coming due), and your current liabilities are your stack of bills to be paid that are due within the next twelve months. Obviously, we would all prefer to have an abundance of cash and current assets and a paucity of bills to be paid. In West's case, per Morningstar.com, the company has $156.6 million in cash and $275.6 million in other current assets for a total of $432.2 million in total current assets, which when compared to the $153.3 million in current liabilities yields a current ratio of 2.82. By anyone's definition, this is a healthy and encouraging statistic. Reviewing the information on Yahoo "Key Statistics" on West, we find that this company is a mid cap stock with a market capitalization of $1.68 billion. The trailing p/e is only 22.77 with a forward p/e (fye 31-Dec-08) estimated at 18.53. Trying to determine how 'rich' or 'lean' this valuation really is, it is helpful to look at the PEG ratio. Simply put, this is a comparison between the price/earnings ratio and the growth rate in earnings. In general investors are willing to pay a premium in stock price if earnings are expected to be much higher in the future. As with other investors, I prefer to have a stock trading with a PEG ratio between 1.0 to 1.5 if not lower. West Pharmaceutical Services (WST) sells with a PEG ratio of 1.33, quite acceptable to me. Another ratio to consider is the Price/Sales ratio. Paul Sturm, who writes for Smart Money Magazine (a great magazine for amateur investors like myself! ), wrote a wondereful article on the importance of Price/Sales ratios and comparing them to similar companies in the same industry. I have been using the Fidelity website for this information. According to the Fidelity.com eresearch website, WST has a Price/Sales (TTM) of 1.75, well under the industry average of 4.97. In terms of profitability, the company is nearly at the industry average of 18.98% Return on Equity (TTM), coming in at 18.33%. Thus, West is profitable as the average company in its industry but sells at a sharp discount in terms of price relative to sales. As I noted above, the company dos pay a dividend, with $.52 the 'forward annual rate' yielding 1.10%. The company last split its stock, according to Yahoo, on September 30, 2004, when it had a 2:1 stock split. Like everything else, I am an amateur when it comes to looking at charts. After multiple presentations to my own stock club by a great broker and technician who presented Point & Figure charts at meeting after meeting, I started appreciating the 'ebb and flow' of the price movement so well demonstrated by these graphs. Since 2003, when I started this blog, I have been posting these great charts from StockCharts.com for which I am grateful. 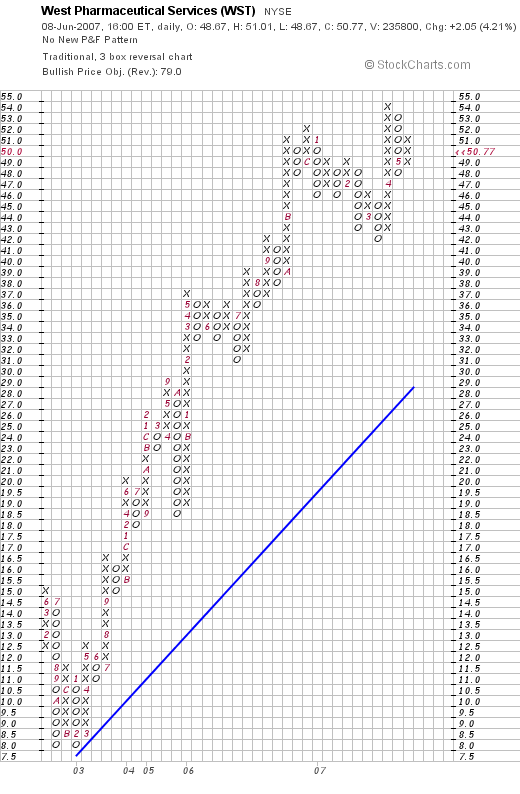 Looking at the "Point & Figure" chart on WST, we can see that this stock, after dipping from $15 to $8.00 between June, 2002, and February, 2003, has been rising strongly without any evidence of significant weakness to its current level of $50.77. The chart looks very strong to me. I really like this stock! Let me try to touch on some of the highlights of this little more extensive review. First of all the stock moved strongly higher Friday making the top % gainers list. They had a great quarterly report which came out about six weeks ago, with strong earnings and revenue growth. They beat expectations of analysts and raised guidance. Longer-term, they have been raising revenue the past 5 years, increasing earnings (except for one down year), and they pay a dividend which they have been regularly increasing. They have maintained their share number with only moderate increase in outstanding shares and they are generating ample free cash flow. Their balance sheet is solid with lots of current assets and moderate current liabilities. Valuation-wise, they are cheap on a PEG and Price/Sales ratio basis. Their profitability is reasonable in terms of return on equity, and their absolute p/e is only in the low 20's. There are lots of shares out short suggesting the potential of a squeeze, and the graph looks very strong. Bottom-line, this is my kind of stock and if I were buying shares today, this would be the stock I would be buying. However, I don't have a 'signal' to buy anything and am already at my maximum of 20 positions. Meanwhile, I shall keep this in my vocabulary and monitor this stock! Thanks so much for stopping by and visiting! If you have any comments or questions, please feel free to leave them on the blog or email me at bobsadviceforstocks@lycos.com. If you get a chance be sure and visit my Stock Picks Podcast Website where you can hear me discuss some of the many stocks I write about on the blog. A Reader Writes "I'm hoping you'll give me a few tips...."
i recently discovered your blog on the Internet through google. 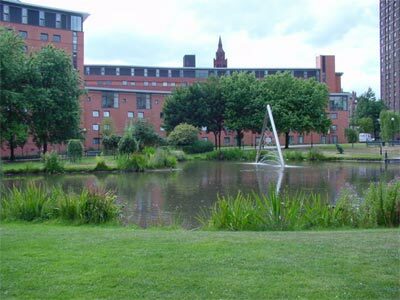 I'm a second year student at Aston University in England studying International Business and Management. I'm sure you understand that I'm playing VSE to gain experience before i start using my own money. I'm hoping you'll give me a few tips on noticing profitable shares and perhaps which books to read. I admire your knowledge and really hope that you'll email me back with some advice on how to win on the stock market and which books to read. It would really motivate me. I really want to do this as a profession when i finish university and it would be great to hear from a professional like you. Jason, thank you so much for writing and sharing with me your plans on developing a simulated portfolio of stocks. Good-luck with your learning process. I took the liberty of posting a picture of Aston next to your letter. It looks like a beautiful University and I congratulate you for your accomplishments already! Before I answer your question, let me point out that I am also an amateur and not a professional, so be sure to seek the advice of professionals in the field as well. You are right about not doing well in the market recently. Especially the last three days (except today!). The market is in a bit of a correction, and all shares have been declining except for the rare exception. This points out the simple observation that the largest factor affecting stock price movement, at least over the short-term, is simply the overall market itself. Eastern (EML) closed at $31.49, up $.01 today. BP closed at $66.97, so you are up a little on that one. And ebay closed at $31.42, so you are a bit under on that holding as well. Of these stocks EML is really the TINIEST of companies, so we can well accept greater volatility, the so-called "BETA" in investing, in companies with smaller float, and thus less liquidity as they respond to market forces. I am still optimistic about EML, but I do not own any shares. Over the longer-term, I believe that the market rewards stocks with superior earnings and revenue growth. I have based my blog on that simple assumption. And I do a little work in conjunction with this as well. After 40 years of investing in the market, I am still working at perfecting my own approach at "winning" in the market. That is what this blog is all about. I would suggest that you go way back to the beginning entries and scan through the entries about philosophy or methods of investing. I have written up several of those, interspersed throughout the many other entries. The blog is rather cumbersome, but I feel it is loaded with lots of gems of information. At least I hope so. There are several books that I am rather fond of for investing. And I will share these with you as well as a link to Amazon.com where these books can be purchased, often used, just for a few American Dollars (and fewer Euros). One of the first books I ever read about the market was by Louis Engel, How to Buy Stocks. This is an older book and was updated in 1994, but many of the important basics are there. You can pick up a used copy. I think you would enjoy it. The next book to consider is How to Make Money in Stocks by William O'Neil. O'Neil is the publisher if the Investor's Business Daily, known as the IBD in America. His CANSLIM system is a good start for identifying possible stocks for investment. I learned a lot from this book but do not practice CANSLIM. Another of my favorite books was by Gene Walden, "The 100 Best Stocks to Own in America". This is a 1999 edition that is a bit dated as well. However, the concept of identifying stocks by scoring them by certain attributes is also a good way to think about stock selection. Going through my list of favorites, I enjoyed reading "How to Make $1,000,00 in the Stock Market Automatically" by Robert Lichello. Lichello got me thinking about portfolio management. The need to automatically adjust one's holding into and out of equities from cash. I have adapted his strategy with my own portfolio management approach. I have written about that elsewhere. Another classic text worth reading is "How I Made $2,000,000 in the Stock Market" by Nicolas Darvas. A good read and an interesting perspective on investing. If you like the historic bent, try "Reminisces of a Stock Operator", by Edwin Lefevre. This is a classic text first published in 1923. These are just a few of the many books I have read and perused that have affected my own thinking and helped me develop my own philosophy on selection and the buying and selling of stocks. In selecting stocks, one of the most important ideas I would like to leave you with is that you need to start developing your own "profile" of a winning stock. That is try to identify not so much WHAT they do but HOW they do it. What are the CHARACTERISTICS of stocks that are going to appreciate. You may come to different conclusions than I do, but you may come up with a better answer as well! For me stocks that are likely to appreciate are those stocks that are doing well. They have recently reported good earnings, with increasing revenue and earnings numbers. They may have beaten expectations and possibly even raised guidance. Longer-term, they have been increasing their revenue steadily, growing their earnings similarly, they may or may not be paying a dividend, and if so, may even be regularly increasing it. Shares outstanding are relatively stable, free cash flow is positive and hopefully growing, and the balance sheet looks nice with ample current assets and minimal current liabilities. Valuation should be good with a p/e not too high and hopefully the PEG is 1.0 to 1.5 or not much more. Price/sales should be at or under the industry average, and the Return on Equity should be at or higher than industry. Finally, the stock chart should look like it has been moving higher and shows no evidence of breaking that trend. It really isn't rocket science. But it is the consistency and the disciplined application of these strategies that will lead you to success. Good-luck and keep me posted. Maybe together we can all learn how to successfully select stocks and manage a portfolio regardless of the market environment. Bolt (BTJ) "Dealing with a sharp price decline"
Bolt (BTJ) is having a lousy day in an otherwise up market. In fact, as I write, Bolt is trading at $38.01, down $(3.40) or 8.21% on the day. But why? The Yahoo Message Boards are busy, with apparent short-sellers trying to talk down the share price. The word according to these unconfirmed rumor-mongerers is that BTJ will be listed at a lower level on the IBD 100 listing that comes out each Monday in the Investor's Business Daily. But I don't see any confirmation of that either. In fact, the latest quarterly report. Bolt's 3rd quarter 2007 results, showed the company with a 51% increase in revenue, and a 118% increase in net income of $.50/diluted share, up from $.23/diluted hsare last year. Now THAT is a great report! 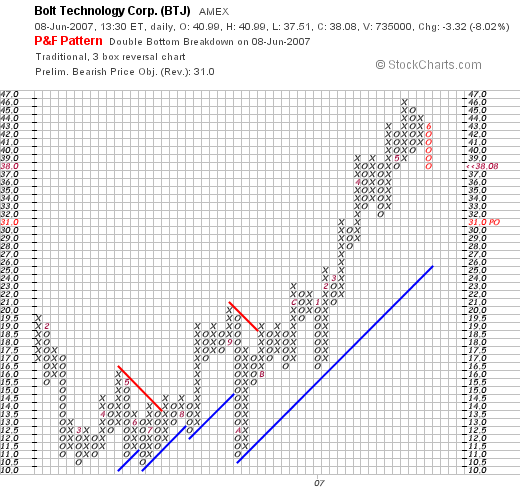 And if we look at a "Point & Figure" chart on BTJ, to get a bit more perspective, we see that the upward move in this stock is far from interrupted. What we do see is that the stock has moved strongly higher (as we know) and that it is rather over-extended from the support line (blue line) below. Similar declines have occurred including a sharp decline from $20 to $11 in September, 2006, a decline from $21 to $17 in January, 2007, and a decline from $38 to $31 in April, 2007. These declines can be identified by the columns of "o's" on the chart indicating declines in the stock price. In each case thus far, the stock has rebounded. In any case, I have sold Bolt (BTJ) four times as it has rapidly appreciated in price, at 30, 60, 90 and 120% appreciation levels. Should the stock decline to a 60% appreciation (1.6 x $17.44 = $27.90), then I would unload all of my remaining shares. Bolt has a long way to go to do that and is in fact recovering even as I write. So with a plan in mind, I can shrug off the message board posters and others who seem to be intent on manipulating the stock price with rumors and inuendos, and instead start to build a great portfolio of great stocks. With the market selling off the last few days, I thought this was as good a time as any to update my current Trading Portfolio for all of you. I know I have had some questions/comments about whether any of my stocks had hit sale points yet. If the selling continues, I am sure that several will be sold. But I shall wait until stock price targets are hit before selling anything. I am still at my maximum of 20 positions in my portfolio. As many of you realize, I have very strictly defined sale points. I sell all of my shares if a stock hits an 8% decline after a first purchase, hits break-even if the shares have hit an appreciation target of 30% and then declined, and otherwise sell all of my shares if the stock should drop to 1/2 of its highest appreciation target. That is if I have sold portions of a holding three times, at 30, 60, and 90% appreciation levels, then I would unload all of the shares if the stock should decline to a 45% (1/2 of my 90% appreciation target) on the downside. On the upside, I am still planning on selling 1/7th of my holding at appreciation targets as follows: 30, 60, 90, and 120% appreciation, then 180, 240, 300, 360 and 450% appreciation targets, then 540, 630, 720 and 810% appreciation levels, etc. In addition, my portfolio is designed to respond to internal signals. That is, if under my maximum of 20 positions, I am 'entitled' to add a new position if one of my existing holdings hits a sale at a gain. However, I sit on my hands on sales on declines which I call "bad news" unless I am at my minimum equity exposure level which is 1/2 of 1/2 of the maximum, or in this case, at 5 positions. These are my current holdings listed as name, symbol, number of shares, date of purchase, price of purchase, latest price (6/7/07), and percentage gain (loss). As of 6/7/07, the account had total holdings of $118,210.31, and $66,205.55 of margin balance giving the total account value of $52,004.76. The account has an unrealized gain of $30,067.81, and realized total gains of $12,309.61 in 2007, from a net short-term gain of $3,062.06, and a net long-term gain of $9,247.55. The account as of 6/7/07 had a margin equity percentage of 45.01%. Please let me know if you have any comments or questions about this. If you like, leave your comments on the blog or email me at bobsadviceforstocks@lycos.com. I have been fortunate to do well in the market the past few years. I shall be sticking to my disciplined approach through this correction and any ensuing bull market as well. A Reader Writes "...do you think hw is a buy?" One of my favorite things about blogging is getting feedback from my readers. This sometimes comes in the form of comments on entries and other times comes in as questions or comments in emails. If you would like to leave a comment on anything I have written, please feel free to do so. I shall delete spamming and commerical comments but otherwise I am pretty accommodating to other ideas. You can contact me by email at bobsadviceforstocks@lycos.com. I read all of my emails, but can only comment on or respond to just a few of them. Please do leave your first name and your general location when you write. "hello, i hope you are still active i am following hw and i only found your blog online, do you think hw is a buy at these prices or do you see it trending lower a stock club i'm in has recently started buying GD i don't know if you are interested in that stock but you may want to check into it. if you can email me and let me know what you think of hw. thanks and have a great day. tony"
Tony, first of all thanks for writing. I am not currently following Headwaters, Inc. (HW) but did write about it way back on October 22, 2003, when the stock was trading at $17.41. For reference, Headwaters closed yesterday, June 6, 2007, nearly four years later at $18.48/share, which is $1.07 higher than my post or a gain of 6.1% since writing up the stock. I do not own any shares or have options on this company. Let's take a look at a few basic things on this stock to see whether I can still suggest it deserves a place on this website: the latest quarter, the Morningstar.com report, and the chart. Headwaters (HW) announced 2nd quarter 2007 results on May 1, 2007. Total revenue for the quarter ended March 31, 2007, came in at $274.1 million, up 2% from $269.7 million in the same quarter last year. Net income for the quarter came in at $27.2 million or $.59/diluted share, up 48% from $18.4 million or $.40/diluted share last year. So far so good. What about the Morningstar report? Checking the Morningstar.com "5-Yr Restated" financials on Headwaters, we can see the nice rise in revenue from $119 million in 2002 to $1.12 billion in the trailing twelve months (TTM). However, earnings, which peaked at $2.79/share in 2005, dropped to $2.19/share in 2006 and $2.15/share in the TTM. We know that the latest quarter was quite good, but the last couple of years prior to that weren't. The company has increased its shares significantly from 24 million in 2002 to 42 million in the TTM. However, during this period, revenue is up over 800% and earnings are up over 100%, so this dilution isn't excessive. Free cash flow is positive and the balance sheet is acceptable. Reviewing the "Point & Figure" chart from StockCharts.com on Headwaters, we can see how the stock climbed strongly from the $17.50 level in 2003 when I first wrote it up to peak at $45/share in August, 2005. Since that time the stock has been trading very weakly and has broken through "support levels" (the 'blue line') and well below "resistance levels" (the 'red line'). It does not look encouraging at all, although I am certainly not qualified as a technician. I haven't looked at General Dynamics (GD) recently, so I haven't any comments on that stock at this time. Thanks so much for stopping by, visiting, and writing. I hope my comments are helpful. If you have any comments or questions, please feel free to leave them on the blog or email me at bobsadviceforstocks@lycos.com. If you get a chance, be sure and visit my Stock Picks Podcast Website. Hello Friends! Thanks so much for stopping by and visiting my blog, Stock Picks Bob's Advice! As always, please remember that I am an amateur investor, so please remember to consult with your professional investment advisers prior to making any decisions based on information on this website. I was looking through the list of top % gainers on the AMEX today and came across The Eastern Company which is trading at $31.90, up $2.44 or 8.28% on the day. I do not own any shares of this stock nor do I havew any options. 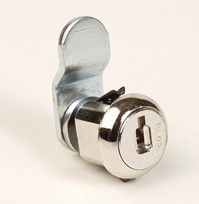 "...manufactures and sells industrial hardware, security products, and metal products primarily in North America. It operates in three segments: Industrial Hardware, Security Products, and Metal Products." On April 25, 2007, The Eastern Company (EML) reported 1st quarter 2007 results. Sales for the quarter came in at $52.3 million, up 88% over last year's $27.9 million for the same quarter. Net income was $6.8 million or $1.14/diluted share, up 491% from $1.1 million or $.20/diluted share in the same period in 2006. Reviewing the Morningstar.com "5-Yr Restated" on EML, we can see a perfect picture of revenue growth with EML reporting revenue of $81 million in 2002, $88 million in 2003, $100 million in 2004, $109 million in 2005, $138 million in 2006 and $163 million in the trailing twelve months. Earnings have also steadily increased from $.59/share in 2002 to $1.67/share in 2006 and $2.61/share in the TTM. The company also even pays a dividend (!) and has increased it recently with $.29/share reported in 2002, $.31/share in 2006 and $.32/share in the TTM. During this time, the company has maintained its float with 5 million shares outstanding in 2002 increasing to 6 million in the TTM. This 20% increase in shares has been accompanied by a 100% increase in sales and a 400% increase in earnings. This is an acceptable dilution from my perspective. Free cash flow has been small but positive with $3 million in 2004, $1 million in 2006, and $4 million in the TTM. The balance sheet is solid with $5.6 million in cash reported on Morningstar.com and $58.1 million in other current assets. This total of $63.7 million in total current assets, when compared to the $19.5 million in current liabilities yields a healthy current ratio of 3.27. The company has an additional $26.2 million in long-term liabilities which can easily be covered by the current assets as well. According to the Fidelity.com eresearch website, the company sports a Price/Sales ratio of .99, well under the industry average of 1.48. The company is also more profitable than similar companies with a Return on Equity (TTM) of 30.15%, compared to the industry average of 23.07%. Finishing up with Yahoo, we can see that there are 5.58 million shares outstanding with 4.80 million that float. Of these, 16,500 shares are out short as of 5/10/07, representing 0.4 trading days of volume--an insignificant level imho. The company pays a forward dividend of $.32/share yielding 1.10%. And the company last split its stock 3:2 on October 18, 2006. 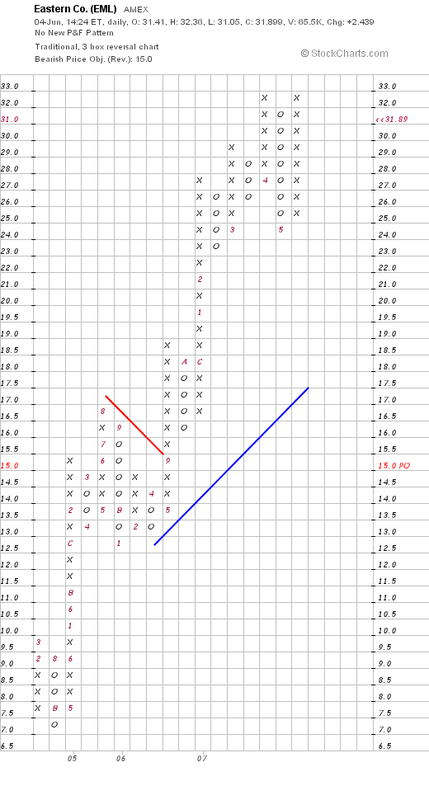 Taking a look at a "Point & Figure" chart on Eastern from StockCharts.com, all I can say is WOW! The stock chart is quite strong and doesn't appear to be quitting any time soon. Of course anything is possible, but the chart does appear quite good to me. O.K. if it isn't love, it is certainly infatuation :). Sometimes we find these incredible companies like Bolt (BTJ) or Flotek (FTK) on the AMEX where they seem to get overlooked by the vast majority of investors. Or is it something I am missing? The company had a nice move today, had an incredible earnings report, is cheap with a p/e under 12, Price/Sales below similar companies, and a Return on Equity ahead of its competitors. On top of this, they have steadily been increasing their revenue the last five years, increasing their earnings, paying a dividend and now increasing it, generating free cash flow, keeping the number of shares stable, and have a great balance sheet, and a great chart. WOW. I still am not buying any shares. I am at 20 and holding. But I would if I could. It is late Sunday and I really need to get some sleep. I am up early tomorrow to walk with friends. Am trying to get some more exercise. As well as some sleep :). But I wanted to pause for a moment, especially with the markets closed. I have a great Carole King CD on and I can almost hear the earth move. Seriously, I have had some questions about margin and I believe many are coming from new investors that want to understand the ins and outs of investing. Unfortunately, I have a load of margin and I don't suggest anyone else use it. In fact, I want to pay this down real badly. I have made so much progress in my own account and I know that a severe downdraft with a large margin position will really do some damage to my equity. I don't need that and you don't either. If you are starting out, the best advice I can give you is not to be in a hurry. We have been extremely fortunate the past several years. It is not always this easy. Even an amateur like me looks brilliant. That in itself is a scary thought. I am totally convinced that my ideas of identifying quality stocks will work over the long haul. But I want you all to stay with the market over the long term. If we get a severe correction, I don't want to see all of you bailing and moving on to some other investment idea. It is the long-term investor who sticks with hit through good times and bad that will be successful in the long term. I really believe this stuff. I write up loads of stocks on this blog. Some do great and some do terrible. But overall I am satisfied with how they are turning out. My disciplined approach to my own portfolio will allow me to continue to weed out the weakest performing equities and replace them over time with new possibilities. I don't think there is any magic to what I do. Just lots of work. So if you are starting out, slow down. Don't rush it. Listen to the market, listen to your portfolio, plan your moves before they are needed, and expect success. Thus, when success arrives, not because you are lucky, but because you stacked the deck with great stocks, you will not be surprised. You will react to success with equal discipline as you will respond to the occasional failure. And failure will occur. So, as I head off for the evening, let me thank all of you for your loyal participation on this blog. Those of you who choose to enter comments and write questions, I offer you an extra big Thank You! For those of you who choose to visit, think about jotting me a line as well. Let me know what you think, whether the blog is helpful, and where I should go with this. Thank you all for a wonderful four years blogging here at Stock Picks Bob's Advice! It is the weekend and it is time for a review. But before I do that let me digress. I don't talk too much about my own personal life but let me share with you a wonderful evening I had last night in Lanesboro, Minnesota, listening to the great Garrison Keillor and the Prairie Home Companion crew. Thank you Mr. Keillor for a great evening celebrating the greatest of fruits (vegetable?) 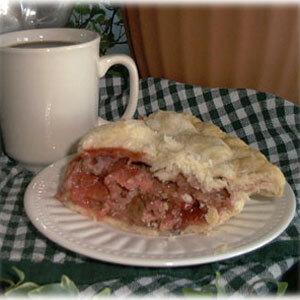 rhubarb, and rhubarb pie. I don't get out too much! 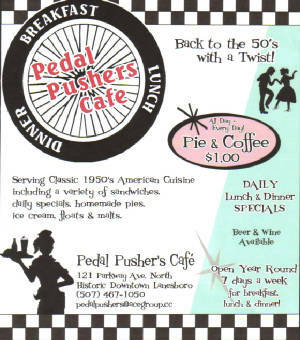 But what a great evening under the stars sitting in Center Field on a lawn chair after a wonderful dinner with family and friends at the Pedal Pushers Diner in Lanesboro where I had a dinner of Liver and Onions and a great slice of Rhubarb Pie! (forget the diet for an evening!). O.K. it was great, but let's get back to that review :). But then again, let me work hard at sharing with you a little more of a personal blog along with all of the endless entries about stocks! Let me know what you think. Probably make the whole thing more interesting for me and for all of you readers. My weekend reviews always assume a buy and hold strategy. I do this for the ease of reviewing these past stock picks. In practice, those of you who read my entries will realize that I both advocate and employ a strategy of a disciplined portfolio management strategy with which I quickly sell my holdings that incur small losses and also sell my gaining stocks slowly and partially at targeted appreciation levels. This difference in strategy would certainly affect the overall performance of any stock purchases. 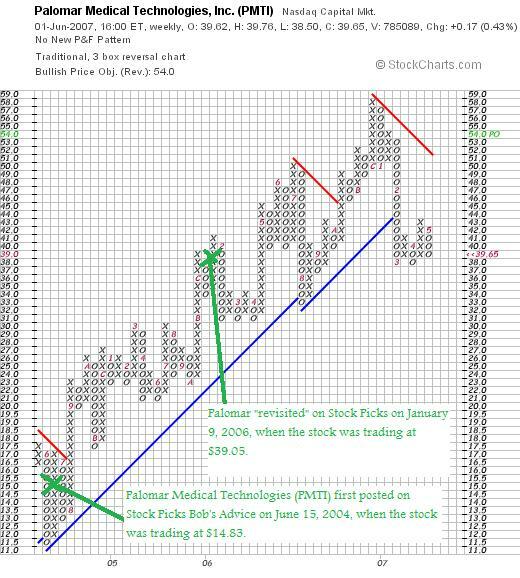 On January 9, 2006, I posted Palomar Medical Technologies (PMTI) on Stock Picks Bob's Advice when the stock was trading at $39.05. Palomar closed at $39.65 on June 1, 2007, for a gain of $.60 or 1.5% since posting. Taking a look at the "Point & Figure" chart on PMTI from StockCharts.com, we can see what appears to be a short-term break down in price action with the stock dropping below support levels and lingering well below resistance levels (the lines in red and blue). Simply put, the chart is less than encouraging. On April 26, 2007, Palomar reported 1st quarter 2007 financial results. Revenue for the quarter increased 40% to $31.5 million from $22.5 million in the same quarter last year. GAAP net income, however, dropped to $5.9 million or $.30/diluted share this year, down from $6.2 million or $.31/diluted share in the same period last year. On January 11, 2006, I "revisited" Manitowoc Co. (MTW) when the stock was trading at $58.70. MTW split 2:1 April 11, 2006, making my effective stock pick price actually $29.35. MTW closed at $78.00/share on June 1, 2007, for a gain of $48.65 or 165.8% since posting. 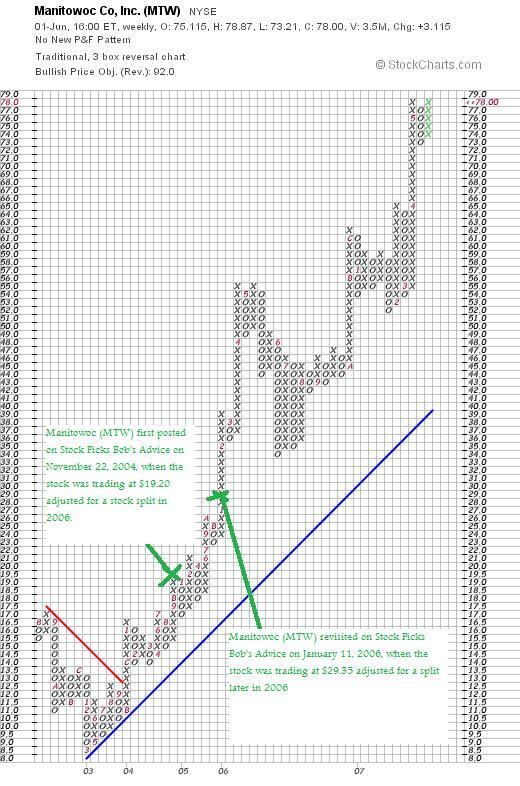 Looking at the "Point & Figure" chart on Manitowoc from StockCharts.com, we can see the incredible strength that this particular stock has shown since bottoming at $8.50 in March, 2003. On April 30, 2007, Manitowoc announced 1st quarter 2007 results. For the quarter ended March 31, 2007, sales increased 36% to $862 million from $633 million in the same period last year. Net earnings were up more than 100% at $64.1 million this year from last year's $29.7 million or $1.01/diluted share, up from $.48/diluted share last year. On January 13, 2006, I posted JLG Industries (JLG) on Stock Picks Bob's Advice when the stock was trading at $49.45. JLG split its stock March 20, 2006, with a 100% stock dividend, making my effective pick price actually $24.73. JLG was acquired by another stock pick favorite of mine in December, 2006, at $28/share. This represents a gain of $3.27 or 13.2% since posting. So how did I do during that week in January, 2006, with these three stocks. In a word, fabulous! All three climbed (unlike the prior week when all five declined!) and one was acquired with an average gain of 60.2%! Most of this gain is all about Manitowoc (MTW), an amazing stock of an amazing company! Thanks again for visiting! If you have any comments or questions, please feel free to leave them on the blog or email me at bobsadviceforstocks@lycos.com. If you get a chance, be sure and visit my Stock Picks Podcast Website where you can hear me discuss many of the same stocks I have been writing up here on the blog. A Reader Writes "What do you consider a comfortable amount of debt?" One of the great things about writing a blog is the opportunity to interact with other investors who also are interested in learning about what you are writing. With that in mind, if you have any comments or questions, always feel free to leave them on the blog or email me at bobsadviceforstocks@lycos.com. I read all of the comments and emails and try to respond to as many as possible. Please do remember, as I write so many times, that I truly am just an amateur investor who enjoys writing about stocks and managing my own portfolio. So do remember to consult with a professional before acting on any of my writing. Thanks for the response. I always appreciate your thoughts and opinions. As you mentioned, your year to date net is about $12,300 (which is great! congrats! ), including about $3,000 in short-term gains and $9,250 in long-term gains. Could you comment on the differences between short-term and long-term gains? I am not familiar with the terminology. I may be missing something, but when you say, "Currently, my own Trading Account, even after the big rally and my latest sale, sits at $53,853.72. I have $66,205.55 in margin debt. My total holdings stand at $120,059.27. Thus, I am sitting at a 44.85% margin level. Way too much debt..." Doesn't that translate into 56% ($66,502.55)of margin debt rather than 44% ($53,853.72)? How are you able to have more debt than your trading account is worth? Are you aiming to get your margin debt down to 30%? What do you consider a comfortable amount of debt? Do you think there is a certain percentage that someone should try to remain around when it comes to margin debt? Thanks so much for writing Eric! I hope that my efforts are in some way aiding you in understanding investing and some of the risks and opportunities associated with selecting and managing those investments. Let me try to tackle your first question about the difference between short-term and long-term gains. These terms separate investment sales for the purpose of tax reporting. These gains are treated differently by the IRS in the United States (those of you in other countries will need to research your own tax laws), depending on the duration that the equity has been held. Short-term gains are those realized when the stock has been held less than a year. Long-term gains are those held for longer than a year. "With holding period defined, we can say that a short-term gain or short-term loss is a gain or loss on a capital asset that had a holding period of twelve months or less. Similarly, a long-term gain or long-term loss is a gain or loss on a capital asset that had a holding period of more than twelve months." And what are the consequences of short-term vs long-term profits? "Short-term gains are taxed as ordinary income. Therefore, the nominal tax rate will be whatever tax bracket you are in. More explicitly, it will be taxed at the federal tax rate (bracket) as determined by your taxable (not gross) income line on your federal tax return. The tax treatment of long-term gains is somewhat more complicated, and depends on your income. Long-term gains are taxed at 5% if you are in the 10% or 15% federal tax brackets (for tax year 2004, up to about $58K for married filing jointly, and less for others). Long-term gains are taxed at 15% if you are fall in one of the higher income-tax brackets (e.g., 25%, 28%, and so on). The long-term gains are included when figuring out your bracket. However, the 5%/15% rate doesn't apply to all long-term gains. Long-term gains on collectibles, some types of restricted stock, and certain other assets are instead subject to a different rate, which may be as high as 28%. And certain kinds of real estate depreciation recapture are taxed no higher than 25%. Just to keep up with the history, in 2001 and 2002 the tax man offered low rates on sales of assets held 5 or more years. Those rates were 8% and 18% depending on the taxpayer's income-tax bracket. Those so-called "ultra-long-term gains" were swept away by tax-law changes of 2003." "Now what happens if you have both short-term capital gains and losses, as well as long-term gains and losses? Do short-term losses have to offset short-term gains? Do long-term losses have to offset long-term gains? Well, the rules for computing your net gain or loss are as follows. You combine short-term loss and short-term gain to arrive at net short-term gain (loss). This happens on Sched D, Part I. You combine long-term loss and long-term gain to arrive at net long-term gain (loss). This happens on Sched D, Part II. You combine net short-term gain (loss) and net long-term gain (loss) to arrive at net gain (loss). This happens on Sched D, Part III. If you have both a short-term loss and a long-term loss, your net loss will have both short-term and long-term components. This matters if you have a loss carryover (see below). If you have both a short-term gain and a long-term gain, your net gain will have both short-term and long-term components. This matters because only the long-term piece gets the special capital gains tax rate treatment. If you have a gain in one category and a loss in another, but have a gain overall, that overall gain will be the same category as the category that had the gain. If you have a loss overall, that overall loss will be the same category as the category that had the loss. If you have a net loss and it is less than $3,000 ($1,500 if married filing separately) you get to take the whole loss against your other income. If the loss is more than $3,000, you only get to take $3,000 of it against other income and must carry the rest forward to next year. When taking the $3,000 loss, you must take it first from the short-term portion (if any) of your loss. The Capital Loss Carryover Worksheet in the Sched D instructions takes you through this. If you have a net gain, the smaller of the net gain or the net long-term gain will get the special tax rate. This happens on Sched D, Part IV"
So you can see that this is a bit more complicated than it should be. Thus, it is important that you understand the advantages of longer-term holdings for tax purposes. In my investment strategy, with my sales at 8% losses, I am hoping that I shall be able to have enough losses to offset the many gains that I also anticipate realizing. I have chosen to try to maximize my overall return independent of tax consequences. You may find many other investors who may choose to work hard to take taxes into consideration in all of their transactions. You will need to find your own level of comfort in whatever approach you choose. Let's take a look at your second note on margin. First of all you are absolutely correct and I believe I mis-spoke on the margin levels. My equity level is at the 44% level and the debt is at 56%. You first asked how I could have more debt than my account is "worth". Actually, my account is worth far more than my debt. As I wrote, what my account is 'worth' is the total value of my stock holdings which is around $120,000. My 'debt' is at $66,000 and the 'equity' is valued at about $54,000. So out of my entire $120,000 holding, you can think of it as my brokerage advancing me back $66,000 from the $120,000 in holding. If I was buying a house, then if it were a $120,000 home, this would be like having a mortgage of $66,000 meaning that I had $54,000 in equity in that home. I hope that explains the situation better. Furthermore, where am I aiming for my margin debt? I would like to pay off the whole thing. I really don't want to have any margin debt at all. So even though I am currently more or less 'comfortable' with the large level of debt, I have chosen to limit my portfolio to 20 positions instead of 25 so that I can start using partial sales to pay down the margin debt instead of adding a 21st or 22nd position. In addition, I continue to contribute $300/month automatically into the account. However, with this $66,000 in debt at a margin interest rate currently at 9.575%, this results in a daily margin interest accrued at $17.96. This is about $500/month just paying the loan. I would rather be starting to earn interest than pay interest for a loan. "Typically, a margin account allows the account holder to borrow up to 50% of the equity in the account for the purchase of new securities. There is also a maintenance requirement that is typically 30% of the equity. If the value of the equity drops below 30% of the total amount, then the broker issues a margin call. The investor either has to send more cash or other equity, or the broker will sell enough of the securities, to increase the total equity above 30%. Thus, if the investor initially deposits $5,000 into a new margin account, he can buy up to $10,000 worth of stocks. If the value of those stocks subsequently declines to below $7,000, then the investor will be subject to a margin call, because $2,000 is what remains of the investor's equity, which is less than 30% of the total amount in the account. then broker issues margin call. The margin and the margin maintenance requirement are specified by Regulation T, enacted by the Federal Reserve Board. Currently Regulation T requires an initial deposit of $2,000 or more for a margin account, and, initially, 50% or more in cash or eligible securities as security for any borrowing to buy securities." One of the things that scares me so much about my use of margin and the discussion on this matter is that I am afrid I may be encouraging others to utilize debt in investing. I believe in a disciplined approach to investing. Starting slow is fine. I have been successful using margin thus far because of the incredible strength of the market. I know that if a large correction ensues, my losses will be magnified due to leverage on the downside. I am also afraid that the current market is 'long in tooth' so to speak and that a significant correction may well be overdue. If I believed strongly in margin, then I would have gone full speed ahead and bought my 21st to 25th postions. But my own comfort level on this has been exceeded. On September 4, 1929, the stock market hit an all-time high. Banks were heavily invested in stocks, and individual investors borrowed on margin to invest in stocks. On October 29, 1929, the stock market dropped 11.5%, bringing the Dow 39.6% off its high. After the crash, the stock market mounted a slow comeback. By the summer of 1930, the market was up 30% from the crash low. But by July 1932, the stock market hit a low that made the 1929 crash. By the summer of 1932, the Dow had lost almost 89% of its value and traded more than 50% below the low it had reached on October 29, 1929. Poor Banking Structures. There were few federal restrictions on start-up capital requirements for new banks. As a result, many banks were highly insolvent. When these banks started to invest heavily in the stock market, the results proved to be devastating, once the market started to crash. By 1932, 40% of all banks in the U.S. had gone out of business. In total, 14 billion dollars of wealth were lost during the market crash." I hope that this discussion answers your questions on margin. I really believe that most investors would do well avoiding margin entirely. It is far better to start investing slowly, saving regularly, and building your portfolio over time. It will grow quick enough without the added risk of margin and the costs associated with debt. Thanks so much for writing. I appreciate your loyalty and continued participation on this website and look forward to your and everyone else's comments and questions! If you would like to add a comment or question, please feel free to leave them on the blog or email me at bobsadviceforstocks@lycos.com. Let me explain why I have decided to add this company to my list of 'investable' companies! "...engages in the design, manufacture, sale, and marketing of engineered products and systems to the aerospace and defense industry in the United States and internationally. It offers avionics and controls systems, including technology interface systems for various applications in military, commercial aircraft, and land and sea-based military vehicles; secure communications systems; specialized medical equipment; and other industrial applications." How did the company do in the latest quarter? On May 31, 2007, Esterline reported 2nd quarter 2007 results. For the quarter ended April 27, 2007, sales were $312.3 million, up from last year's $247.9 million. Net earnings came in this year at $19.8 million or $.76/diluted share, up from last year's $17.7 million or $.68/diluted share in the same period. These results beat expectations of $289.4 million in revenue and earnings of $.65/share. The company also raised guidance, increasing the lower range of earnings to a 2007 profit of $2.50 to $2.60/share, up from prior guidance of $2.45 to $2.60/share. What about longer-term financial results? Reviewing the "5-Yr Restated" financials on Esterline from Morningstar.com, we can see that revenue has been steadily rising with $.4 billion in revenue in 2002 increasing to $972 million in 2006 and $1.02 billion in the trailing twelve months (TTM). During this same period, except for a dip in earnings from $1.35/share in 2002 to $1.33/share in 2003, the company has been increasing earnings to $2.15/share in 2006 and $2.32/share in the trailing twelve months. No dividend is paid. Shares have been increasing very slowly with 21 million shares in 2003, increasing by about 25% to 26 million in the TTM. During this same period, revenue has grown about 100% and earnings have also almost doubled. This is an acceptable dilution from my perspective. Free cash flow has been a bit erratic recently but positive with $41 million in 2004, $53 million in 2005, $10 million in 2006 and $20 million in the TTM. The balance sheet looks solid with $48.3 million in cash as well as $419.5 million in other current assets. This total of $467.8 million in current assets, when compared to the $178.4 million in current liabilities yields a healthy current ratio of 2.62. Reviewing Yahoo "Key Statistics" on Esterline, we can see that this is a mid cap stock with a market capitalization of $1.22 billion. The trailing p/e is a very reasonable (imho) 20.56 with a forward p/e of 15.65 (fye 27-Oct-08 estimated). The PEG (5 yr expected) works out to a very nice 1.02. According to the Fidelity.com eresearch website, the company has a Price/Sales (TTM) ratio of 1.12, under the industry average of 1.46. In terms of profitability, the company is reported to be less profitable than the industry average at 8.53% ROE (TTM), compared to the average of 22.12%. Yahoo reports 25.58 million shares outstanding for Esterline, with 25.50 million that float. As of 5/10/07, there were 1.86 million shares out short representing 10.9 trading days of volume or 10.3% of the float. Using my own arbitrary '3 day rule' for significance in this ratio, this suggests that there is a great deal of pent-up buying demand waiting to be activated, that is, there are a lot of short-sellers who have already sold shares in ESL betting the stock will decline. These sellers may well be squeezed as the latest good earnings report will certainly pressure them to buy back these shares. Of course that is only my own 'best guess' on these shares, many of which could possibly already be re-purchased. As I noted, no dividend is paid and the last stock split was a 2:1 split back in April, 1998. 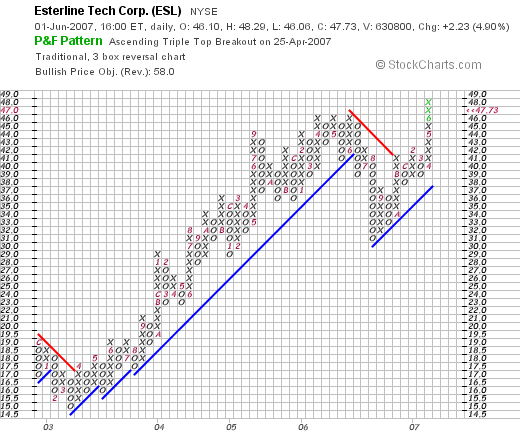 If we review a "Point & Figure" chart on Esterline (ESL) from StockCharts.com, we can see that the stock which showed some weakness back in March, 2003, had a strong run from $15/share at that time to a peak in June, 2006, when the stock hit $46. More recently the stock has pulled back to a low of $30 in August, 2006, only to climb once again, breaking through resistance in Novembe,r 2006 at $41, and now climbing to new heights at $47.73. The stock chart looks encouraging to me. Let's review a few of the things I have discussed above. First of all they came in with what I would call a solid earnings report, beating expectations on both revenue and earnings and also raised guidance. Their Morningstar report looks quite good with steady revenue and earnings growth the past several years with relatively stable outstanding shares. Free cash flow is a bit erratic but always positive and the balance sheet is solid. Valuation-wise the p/e is reasonable, the PEG is just over 1.0, and the Price/Sales is good relative to its peers. However, profitability, in terms of ROE is not quite as impressive as other companies in its industry per Fidelity. To top it off, we may well have a bit of a short squeeze on our hands with over 10 days of short interest outstanding and the company reporting a solid earnings report. Finally, the chart looks positive to me! Thanks again for visiting and participating here on this blog. Always remember I am an amateur investor! If you have any comments or questions, please feel free to leave them on the blog or email me at bobsadviceforstocks@lycos.com. If you get a chance, be sure and visit my Stock Picks Podcast Website!